Tired of hearing reminiscences about the “good old days”? Well, bear with me if I give you one more. I grew up in the fifties on the South Side of Chicago—inner city neighborhood where today I wouldn’t let my grandchildren walk next door alone. But Halloween is one of my fondest memories. 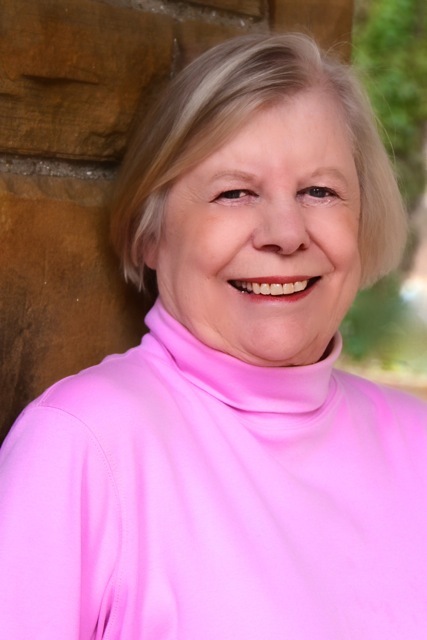 At the ages of ten or twelve, I was allowed to roam free, with friends, after dark—and roam we did, through those tiny dark alleyways between apartment buildings where anything (or anyone) could have jumped out at us. The streets were full of kids just like us, and our parents were home passing out treats. It was a grand time of freedom. By the time my kids were that age, we let them go maybe in the block we lived on, and we stayed on the curb keeping a close watch. They had freedom—but not nearly as much. Today my grandchildren never go trick or treating alone. An adult always accompanies them. And, truth be told, I don’t like to be the adult left home alone to pass out treats. Alone in my own home, I’ve been known to turn out all the lights, bring the dog in, and ignore the doorbell. It made me feel like Scrooge but I also felt safe—some of those trick-or-treaters got pretty darn big. The last few years I’ve sat on my neighbor’s porch, where I can watch my house and enjoy the little kids who come with their parents and their fanciful costumes. They’re sweet, polite, and lots of fun. But there are those occasional over-age ones with an attitude. To me Halloween is a sad reflection of how our world has changed and how childhood has changed. Kids don’t have the freedom to run and play throughout the neighborhood that older generations enjoyed. Back in the day, during the summer children flew out the door after breakfast, knew to reappear for lunch, and came home when Mom called out “Dinner!” or rang a bell. Unheard of today when we have carefully pre-arranged play dates for our children. 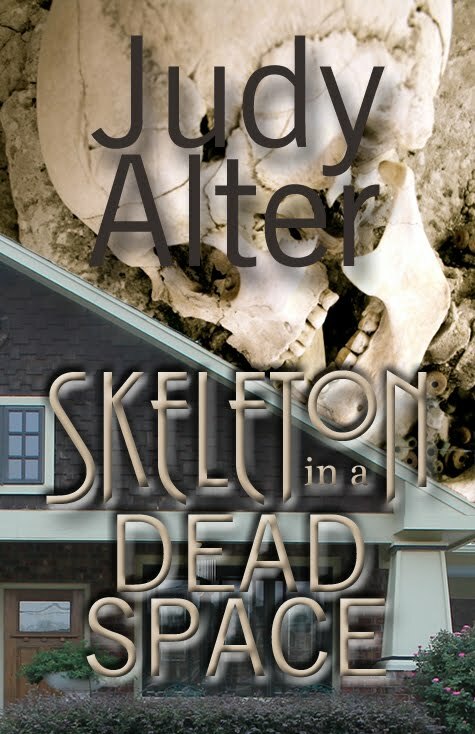 This changing world is reflected in the celebration of Halloween in my three Kelly O’Connell Mysteries—Skeleton in a Dead Space, No Neighborhood for Old Women, and Trouble in a Big Box. Each year the celebration of Halloween grows more constricted for the girls, as danger and threats surround their mother. One of the premises of the series is that danger lurks even in small, seemingly peaceful neighborhoods, and this is never more evident than at Halloween. 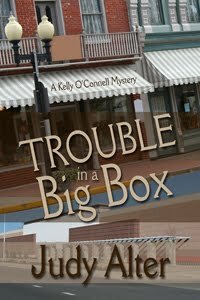 Leave a comment on this post for a chance to win a free copy of Trouble in a Big Box, the third Kelly O’Connell Mystery. My husband and I were just talking about the way things were when we were young. We would go out to play first thing in the morning and only come inside when we got hungry. It is so sad children don't have that freedom nowadays. Things certainly have changed, you think back on the things you used to do and now how you would never let your kids or grandkids do the same things, times were simplier than now. IO grew up in the military. We would go out with just ourselves, no parents and what a load of candy we would get. Thanks, Ingeborg and Debby. Debby, even the candy is different today--must be wrapped. YOu're right, Ingeborg, it's sad for today's children. I live on a busy street and my 6-year-old grandson cannot be in the front yard without an adult. I do se a differece from Halloweens past to the ones now. There is danger and strangers to worry about. It's pretty common to see parents taking their children out trick or treating as opposed to children going off on their own. It's also a bit scary hearing all the firecrackers go off. I do still like the creativity that comes out and the haunted houses people put out for the community to enjoy. It is sad that we now live in a world where we cannot trust our kids to 'trick-or treat" on their own...I too remember when I was young I could travel by foot into my own neighborhood and never have to worry about what violence might "lie-in-wait"! My kids always had us with them when they were young on Halloween and now I will soon be a grandmother myself, and I know that my grand-baby will probably not even be able to go trick-or treating at all unless it is arranged with families we know and trust. Things are just scarier now-a-days! Agreed, everyone. It's sad that we live in a world of fear--with good reason. Sometimes I wonder if rapid communication isn't in part responsible--surely bad things happened occasionally in the "good old days" but we didn't know so much about them. Thanks for the walk down memory lane. I loved trick-or-treating as a kid. Since I was a tomboy, most of my friends were boys and so Mom felt I was perfectly safe roaming the neighborhood. What a haul of candy I'd carry home!